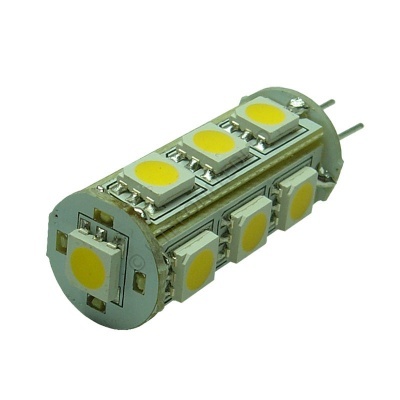 Our G4 Tower Warm White 3000-3300K LED bulbs incorporate 13 surface mount diodes (SMD's) to provide 240 lumens of light. Ideal for use in narrowboats, caravans, campervans, caravanettes, cars and other battery driven applications. 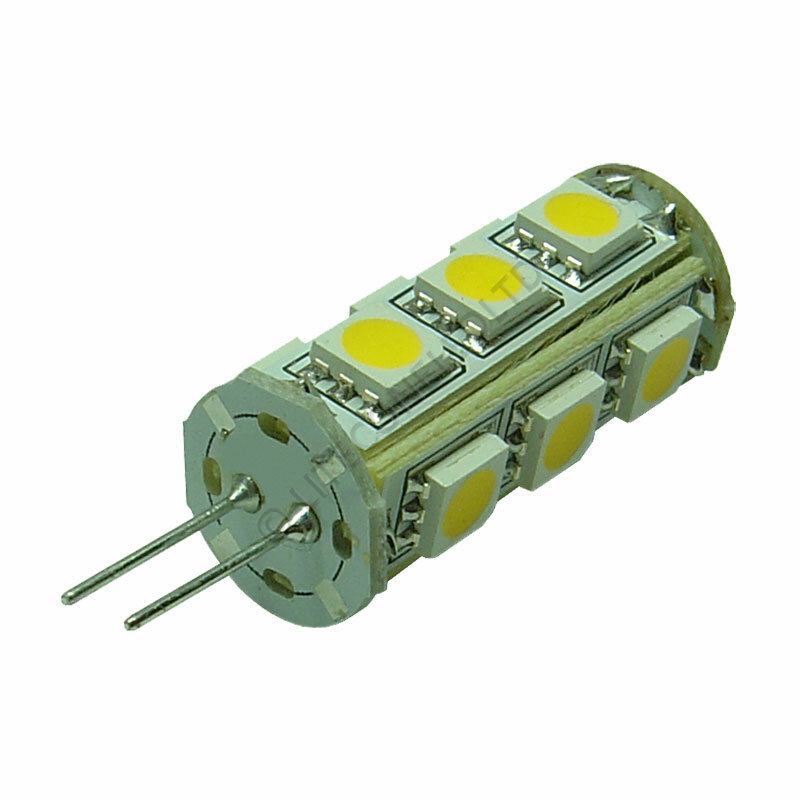 They can also be powered by a suitable Led driver which we can also provide. 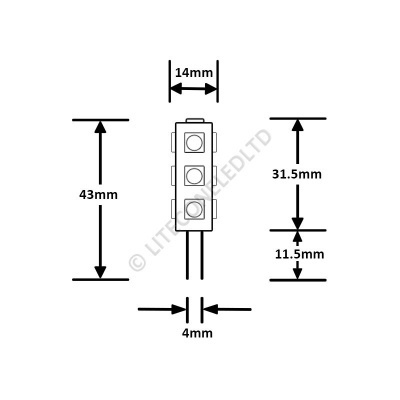 They work in the 10-30 Vdc range so are suitable for many applications up to 30 Vdc.